Garage doors may be a stylish addition to the general look of your house. Setting up a garage door fitting your building’s architecture will obviously give your house a perfect look. Also, a fully functional garage door at your house or business is a great convenience to have. Conversely, when your garage door is old and worn out, or maybe one of your panels is damaged, then unexpectedly you have an undesirable problem on your hands. What’s more, a damaged garage door panel not just looks ugly, but it can also cause your garage door to stop functioning adequately. So where to start to deal with a malfunctioning or broken garage door panel? Garage doors are usually dealt with violently. A visible ding is left in the garage door if you mistakenly use gas pedal in place of break or your child bump into the door panels with bike or skateboard or strike the panel with ball or stone while playing. In certain instances, these dents and dings aren’t big enough to alter your door’s performance. If you can live with the dent or ding, then life continues. Nevertheless, in other conditions, a number of these dents or cracks can ultimately affect how your door works. There is no alternative to seeking assistance of a reliable company like A1 Garage Door Repair Las Vegas to treat these issues successfully. 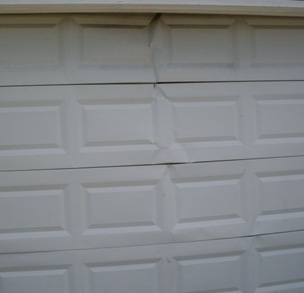 Several breaks and dents of garage door panels are fixable. By using extra struts you could possibly strengthen the cracked part and give your garage door some extra life. Nevertheless, if the crack is very critical, changing will be the eventual option since the panels are no more repairable. You may be able to buy an identical panel and replace simply the damaged one. 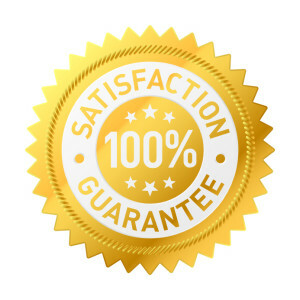 Nevertheless, that’s not always a guarantee, particularly if you have an older garage door. 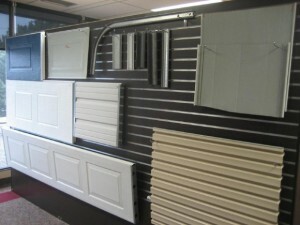 Here you will need to purchase a new set of panels and change the old ones instead of merely the broken one. Whether you require to repair or replace just one panel, or you want a whole new garage door, we may help you get the suitable door at the reasonable cost . We will go to your house or office and remove the worn-out panel(s) and replace it with the new one. You can comfortably leave the task of getting your door working again to us. Rather than overlook a bent or damaged garage panel, you need to do something about it. The condition will generally get worse and often broken panels will cause other problems for your garage door. Don’t wait around any more. Get the issue fixed as soon as you can, or you could end up with even more serious garage door problems down the road. Therefore give us a call in Las Vegas today at (702) 425-1914 for exceptional quality and service for defective panel repair and replacement. We are also available for service in Henderson, North Las Vegas, and the surrounding areas.